Anticipation is building as Ararat Rural City prepares to host the Queen’s Baton Relay on Tuesday, February 13, 2018. Ararat Rural City Council staff have been liaising with Commonwealth Games officials, VicRoads and Victoria Police for several months as the finishing touches are put into place. A route has been confirmed, with the Queen’s Baton to commence from Ararat College at approximately 4.50pm. To view the map, click here. 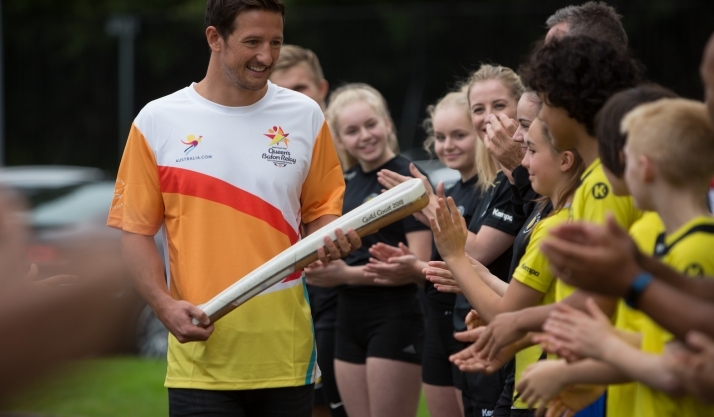 Local Batonbearers, including former Olympic cyclist Shane Kelly, will carry the Queen’s Baton along Barkly Street, left into Albert Street and back along High Street before entering Alexandra Gardens and finally concluding at Alexandra Oval Community Centre. The relay is expected to take about half an hour. A number of road closures will be in place throughout the afternoon, with more details to follow in the weeks ahead. Businesses that will be affected will be contacted directly. Ararat Rural City Council Mayor, Cr Glenda McLean said family activities would take place at Alexandra Oval following the relay. “This will be a wonderful event for Ararat and we feel very lucky to have been selected to host the Queen’s Baton Relay so close to the start of the Commonwealth Games,” she said. More information on the Queen’s Baton Relay Ararat visit can be found at www.ararat.vic.gov.au/qbr with the site to be updated with further details in the lead up to February 13.